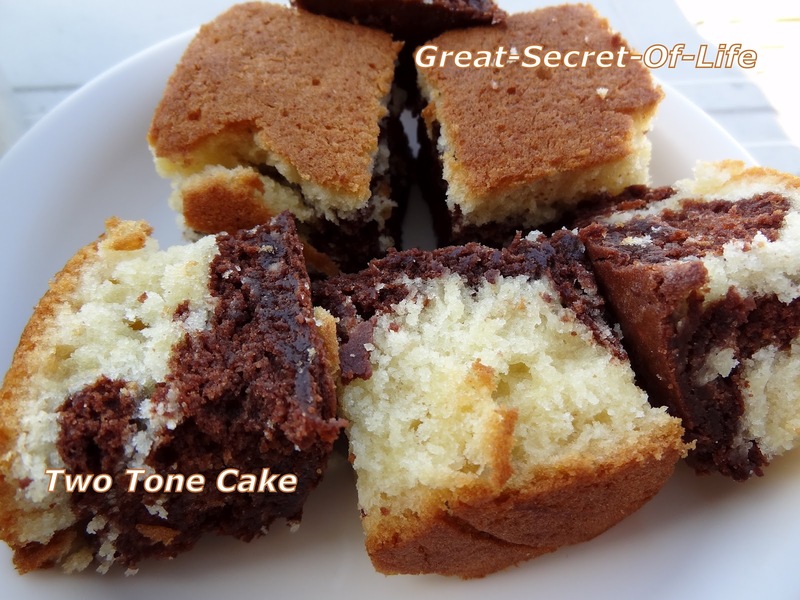 I have baked normal sponge cake or chocolate cake. 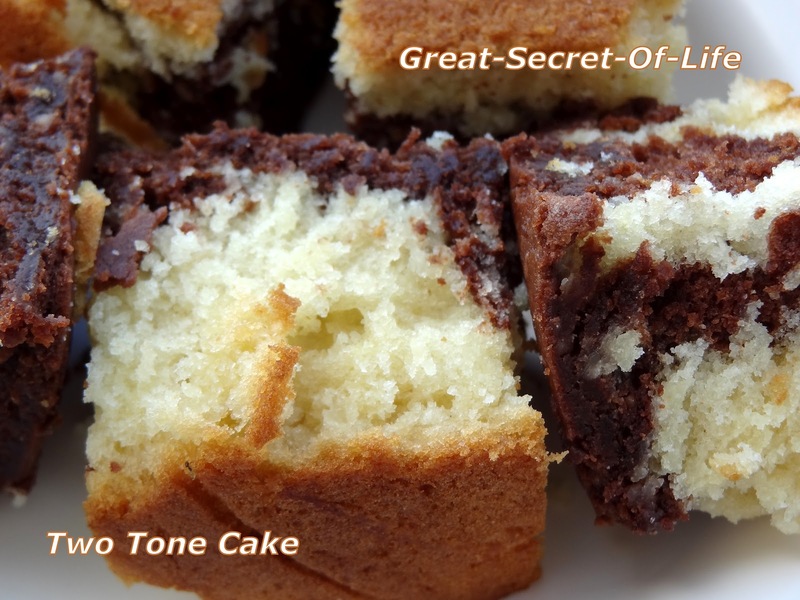 However wanted to try Marble cake.I was browsing for the recipe. I have used this recipe from http://www.ramyaacooks.com/2012/04/eggless-marble-cake-recipe.html. I didn't had the rectangular baking dish I have decided to use normal round baking dish. But the cake become 2 layer cake instead. Hence I named it as two tone cake. It came out real good in taste and a very simple cake to bake. Kids had it for their evening break. 1. Preheat the oven at 180 degree. Line a baking pan with parchment paper and spray non stick baking spray and dust with flour. Sift together baking powder and all purpose flour.Beat sugar, and butter until creamy. Add vanilla ,condensed milk and beat until well combined. 2. Add milk and stir. Add the prepared dry ingredients (all-purpose flour and baking powder) and gently stir just until incorporated. Do not overbeat. Divide this mixture into two equal portions. Add cocoa to one portion and stir until well combined. 3. Add spoonful of these two batter, forming a checkerboard pattern . Once done, with a toothpick go back and forth, up and down and make swirls. Bake for about 30 minutes or just until a toothpick inserted comes out clean. 4.Let the cake be in the pan for about 10 minutes and transfer it to a cooling rack , allow it to cool and then cut into slices and store in airtight container.